When was Homework invented? Homework is the bane of most kids lives! Who invented homework and why was it it invented? Historians tend to agree that Homework was invented by the Mesopotamians and the Ancient Egyptians between c. 2900 BC to c. 3100 BC, following the introduction of the earliest forms of writing in these great civilizations. The Mesopotamians invented a text called "Cuneiform" and the Ancient Egyptians developed a form of text called "Hieroglyphics". Who invented Homework? The early civilizations of the Mesopotamians and Ancient Egyptians developed complex lifestyles living in major cities with centralized economies. It became impossible to remember all the amounts of grain, sheep and cattle that passed through the temples and farms. Accounts and records were needed that did not rely on memory and so early forms of picture-based text were invented to keep count. These earliest forms of writing were standardized and their meanings had to be taught so they could be recognized by many people. The first schools were established and the invention of homework soon followed. Why was Homework invented? The introduction of homework was established to facilitate private study, using practice and repetition to increase knowledge retention. The ancients had to learn how to write and recognize their picture symbols just as today we learn the alphabet and Math tables by rote i.e. a memorization technique based on repetition. Definition of Homework: Homework is defined as school work consisting of a set of tasks assigned by teachers to their students to be completed at home, outside class and school in private study. For additional facts and information refer to the article on Who Invented School. Fact 1: Who invented Homework? Prior to the invention of Homework there were no schools and knowledge or skills were passed on from father to son, or from a craftsman to an apprentice. Any formal type of education was strictly for the wealthy, and remained such until the 1900's when schools (and homework) became more freely available. Fact 2: Who invented Homework? The name of the inventor of Homework is unknown but it was invented by the earliest civilizations established in Ancient Egypt and Mesopotamia c. 2900 BC to c. 3100 BC. Fact 3: Who invented Homework? The Mesopotamians and the Ancient Egyptians were two of the first to emerge from pre-urban cultures and develop the first civilizations to reach an advanced state of society, living in large, organized communities with high levels of science, culture, religion, industry and government. Fact 4: Who invented Homework? Civilization brought Class structures, State-level organization, full-time, non-agricultural specialists, surplus production, extensive trading networks and wealth. The first writing systems were invented by the Mesopotamians and the Ancient Egyptians to enable them to keep accurate accounts and as these systems became standardized it became necessary to educate others to keep records. Fact 5: Who invented Homework? The Mesopotamians developed the system of writing called Cuneiform and instituted 'Scribe Schools' in c. 2900 BC to educate scribes in the ancient writing in order to keep records of the movement of Temple grain and the numbers of cattle and sheep. Fact 6: Who invented Homework? A formal system of education was invented c. 3100 BC by the Ancient Egyptians. The establishment of the earliest Egyptian schools was made feasible with the invention of the ancient form of pictographic text known as hieroglyphics and the invention of papyrus for writing. Fact 7: Who invented Homework? Other great civilizations followed, such as the ancient Chinese, Mayans, Greeks and Romans, who developed their own forms of writing and it became necessary to introduce schools to pass on their knowledge to the next generations. Fact 8: Who invented Homework? It is reasonable to believe that as schools were established that some pupils lagged behind in their studies. As education of the upper classes and priests had assumed such great importance it was essential that the schools were successful. Homework was the method chosen, together with other forms of punishment, to ensure that all students reached a high standard of education, regardless of their natural abilities. Fact 9: Who invented Homework? The invention of Homework, or private study became a part of the school and education system. Fact 10: Who invented Homework? Latin and Greek were the mainstay of education in the Western world although limited to the wealthy or non-agricultural workers such as Christian priests and monks. Fact 11: Who invented Homework? The invention of the printing press by Johannes Gutenberg in 1440 enabled the production of cheap books and increased the availability of printed materials making homework more practical. Fact 12: Who invented Homework? The Industrial Revolution and the increasing use of child labor in the factories saw establishment of various reform movements to provide education to the masses and the need for education of children.. Fact 13: Who invented Homework? In the 1800's schools were established commonly using memorization and recitation to teach children. Homework was distributed to speed up the educational process but this led to anti-homework movements by those who needed their children to help on the farms. Fact 14: Who invented Homework? Anti-homework articles began to appear stating that five hours of education a day was "the most we should ask of our children" and additional homework caused childhood nervous conditions and eyestrain. Fact 15: Who invented Homework? Urbanization of countries such as the UK and the United States transformed them from agrarian to an urban nations. Laws were passed to regulate child labor and more attention was given to both schoolwork and homework. Fact 16: Who invented Homework? 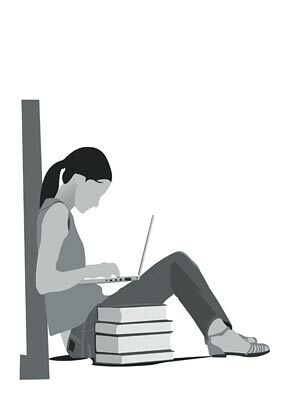 Anti-homework movements responded to such an extent that various school districts in the United States, such as Sacramento, Los Angeles and San Francisco, passed anti-homework regulations. Fact 17: Who invented Homework? In 1901 the California legislature passed a law abolishing homework in grades K-8, and limiting it in high school. Fact 18: Who invented Homework? The standards of education slowly increased in the early to mid 1900's but following WW2 (1939 -1945) and the immediate start of the Cold War (1945 - 1989) nations became concerned that educational standards in the West were falling behind the East and additional Homework was actively encouraged by all classes of parents. Fact 19: Who invented Homework? Homework was seen as a method to accelerate knowledge acquisition by student and increase the number of hours children would spend on education and attempts were made to make homework more individualized and creative. Fact 20: Who invented Homework? The invention of modern technology, especially the Internet and the World Wide Web has completely changed the notion of using home work primarily as a system of learning by rote, to far more expansive system of education and homework whereby kids are encouraged to discover information for themselves. Fact 21: Who invented Homework? Access to the World Wide Web provides a virtual library in every living room. Valuable time is saved by accessing and instant source of information. The WWW enables teachers to communicate with kids when they are at home and there are significant online components to most courses. Fact 22: Who invented Homework? The advent of technology has also led to a dramatic increase in the amount of Homework given to kids at elementary schools which has in turn led to complaints from parents who are concerned that the increased levels of homework on younger children is having a detriment effect on family life. Fact 23: Who invented Homework? The debate over Homework will no doubt continue over the years. In the last one hundred or so years Homework has gone in and out of fashion. Time limits are again being debated on the amount of home work given, especially to younger kids. But no doubt there will always be a place for home work in education systems to consolidate skills and provide students with the opportunity to answer new questions for themselves.